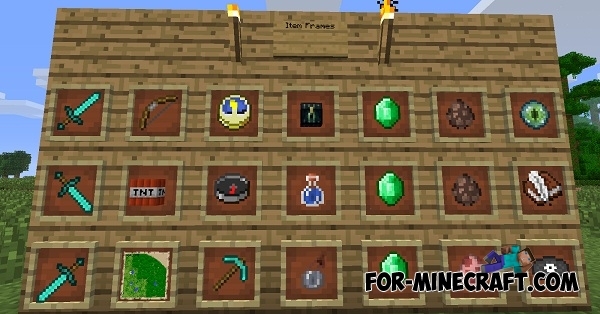 This mod adds the frame to game, through which you can attach items and will receive some kind of picture. At the moment, mod is still under development. You can put a apples and swords in a frame. 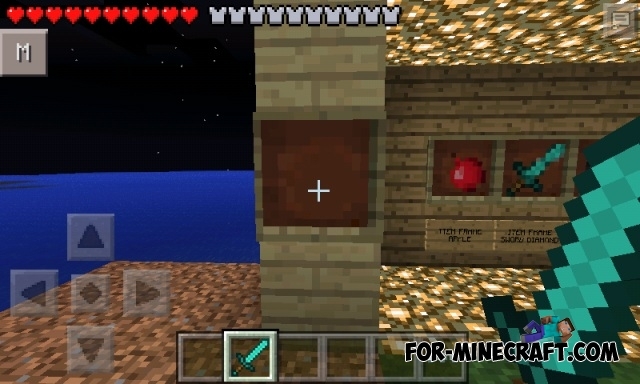 In-game music mod for Minecraft PE 0.11.XThis mod adds a very simple thing - the background music which will played directly in the game! Factorization mod 3.8 for Minecraft PE 0.10.5Finally came out this update! Many thought that it would not, and that the development of mode over. In fact it is not, mod will be updated, but much less than before.